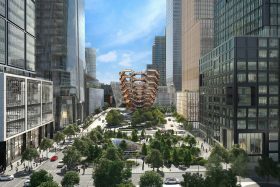 The $20 billion, 28-acre Hudson Yards megaproject has been in the news recently as its official March 15 grand opening approaches. The New York Times reports that the nation’s largest residential development has gotten more than a little financial help from the city government to get there. 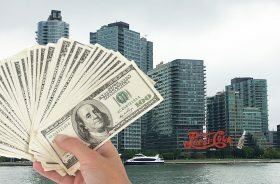 In fact, public records–and a recent study by the New School–reveal that the development has received nearly $6 billion in the form of tax breaks and additional government assistance, twice the controversial $3 billion in incentives held out to Amazon to entice the retail tech giant to bring its second headquarters to Queens. The owner of a Long Island City barbecue restaurant flew to Seattle on Monday in an attempt to revive the city’s deal with Amazon. 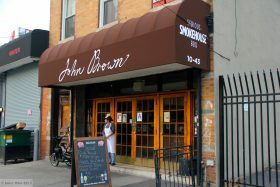 Josh Bowen, who owns neighborhood joint John Brown Smokehouse, met with executives from the company for two hours, according to Qns.com. 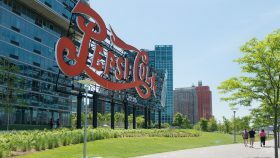 Earlier this month, Amazon announced it would no longer open a headquarters at the proposed waterfront location in Queens after facing resistance from local politicians and activist groups. During the meeting, the businessman asked if they would reconsider their decision to pull out of the project. Their response? “Never say never,” the executives told him, according to Bowen. News broke last week that Amazon was reconsidering its move to New York City after facing opposition from residents and local officials. 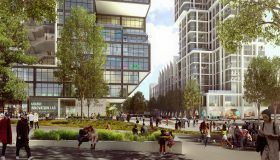 But a new poll released on Tuesday shows a majority of New York voters actually support the deal for the tech company to open its headquarters in Queens. According to the Siena College Research Institute, 56 percent of voters in the state back the project, while 36 percent disapprove. City residents support the Amazon deal even more, with 58 percent approving, according to the poll. 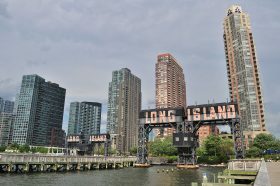 Since Amazon announced it had selected Long Island City for its new headquarters last fall, a lot of people have wondered what will happen to the neighborhood and its surrounding communities. 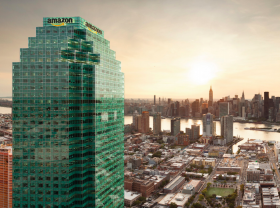 While LIC has already undergone a series of radical changes of the past two decades—first there was an influx of artists seeking larger live-work spaces and later a wave of condo developments—the arrival of Amazon promises to have an even deeper impact on LIC. And the potential negative effect of the tech giant moving into town has not gone unnoticed by public officials and locals, who have led a strong opposition campaign. It was reported on Friday that Amazon was reconsidering its plan to move to the neighborhood after facing an intense backlash from those who fear increased rents and even more congestion. But with no plan to officially abandon Queens, it’s important to understand what could happen if Amazon does put down roots in LIC by first looking at how the company has already changed Seattle, where it first set up shop back in 1994. During a heated City Council hearing on Wednesday, Amazon said it will oppose efforts by its New York City workforce to unionize. Speaker Corey Johnson asked Brian Huseman, the public policy vice president for Amazon, if the company would allow workers to unionize while remaining neutral during the process. Huseman responded, “No, sir,” establishing a tense tone for the rest of the hearing, the Daily News reported.